Amazon Algorithms, The Covers She's Always Wanted and The Importance of Bears. 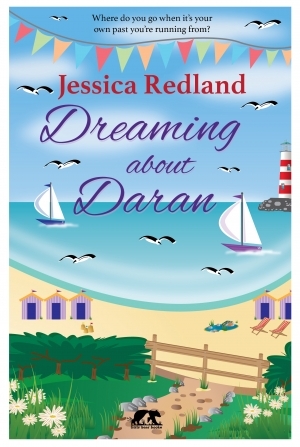 Jessica Redland Talks About Her Writing. 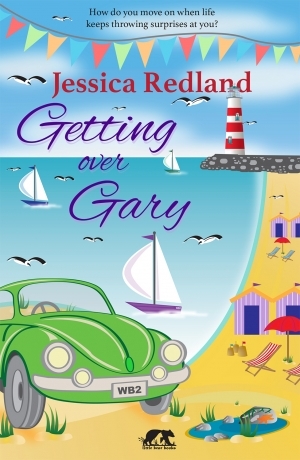 This week I have the pleasure of welcoming Jessica Redland back to my blog. 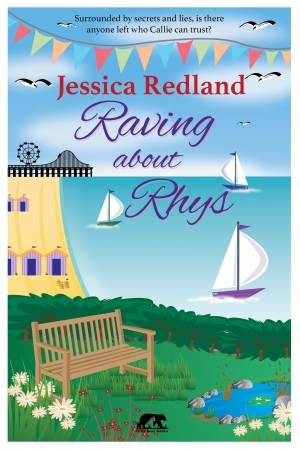 Jessica is the author of the Whitsborough Bay trilogy of contemporary romances, as well as a related novella, Raving About Rhys. Jessica lives on the beautiful North Yorkshire coast and when she isn't writing, she is busy being a mum and a Brown Owl. Jessica, welcome back to my blog. It is such a pleasure to talk to you again. Do you realise, it's been almost a year since the last time you were here? A year? Where does time go? It’s a pleasure to be back on your lovely blog. Thank you so much for having me again. I know there are big changes ahead for you in your writing life, but let's start with a quick look back. Tell us a little about how you got together with your publisher and how your wonderful Whitsborough Bay trilogy came into being. Big changes indeed! More about those later. My dream, like many authors, was to get “the call” (or “the email” as is often the case) from a publisher, giving me the validation that someone in the business loved my writing enough to want to work with me on polishing it and releasing it into the reading world. I felt that my debut novel, Searching for Steven, was ready in late 2013 and started tentatively sending him out to publishers. I had some really positive feedback but no bites until September 2014 when, a bit like buses, two 3-book publishing deals came along at once. This presented me with quite a dilemma, but certainly a happy dilemma. I’d actually accepted the first offer verbally a couple of weeks before the second came along, but I was starting to have doubts about whether it was really right for me. I’d had email conversations with the first publisher about cutting the length of each novel. They wanted the focus to be purely on the romance and for me to remove the strong secondary theme about friendships. Each book in the trilogy tells a different love story but the whole trilogy explores friendships and how these change over time and according to circumstance. The thought of leaving this out didn’t sit comfortably with me at all. It wasn’t the story I wanted to tell. When the second publishing deal was presented to me, I decided to go with that as they loved the secondary theme and hardly wanted to change anything about the book. Plus they had plans to bring the trilogy out in paperback and eBook formats whereas the first publisher could only offer eBooks. And isn’t it every writer’s dream to actually hold a paperback that they’ve written? Searching For Steven was released in June 2015 although I released a novella, Raving About Rhys, the month before. This was meant to be a short story as in introduction to the trilogy and my writing but it sprouted wings and became a bit longer! The original plan had been one novel a year but I felt this was too long a break, particularly given that I was writing a trilogy (so readers would hopefully be keen to know what happened next) and part two was pretty much ready. My publisher agreed and launched Getting Over Gary in March 2016 and Dreaming About Daran in August 2016. I know you have changed your views about being published. Can you share your thought processes with us? When Steven came out, it was all very exciting. My publisher was really enthusiastic and provided me with some promotional materials, organised a blog tour, and promoted it on social media. I always knew I’d have to do a lot of publicity myself too so I arranged for coverage in all the local newspapers, secured library talks, and organised for my books to be stocked in the library as well as the usual social media activity. However, when it came to Gary and Daran, my publisher didn’t even Tweet about them, which both surprised and disappointed me. I knew that the owner had taken on another job and I knew that a lot of smaller publishers were struggling. I wasn’t sure about the longevity of our relationship so I had an open and honest discussion about what the future might look like and about parting company. We came to an agreement on securing my rights back and just over two years after accepting my publishing deal, I started my indie journey. I've seen your beautiful new covers. How did Steven and the others get a new lease of life? I’m glad you like them. I’d never really been happy with the covers. I liked them but I didn’t love them so going indie was the perfect opportunity to have them redesigned in a completely different style. They’re bright, fun and summery and, best of all, my talented husband designed them so it didn’t cost me a penny! He created an imprint – Little Bear Books – which we publish under. I’m a huge fan of teddy bears and a keen arctophile (collector). I took a career break many years ago to open and manage a teddy bear shop. I wrote my first (quite rubbish) draft of Steven when I had the shop and I met my husband through being self-employed. He calls me ‘Little Bear’ so it all just fit perfectly. What do you know now that you wish you'd known at the start of your writing life? What would you say to anyone worrying over whether to go down the self-publishing route? To anyone who is embarking on their journey, I’d suggest that they really think about what they want from a publisher. What will this bring them that they can’t get for themselves? Is it the validation? Is it the expertise? Is it the promotion? Are you sure the publisher can provide more than you could do yourself? My personal view (for my genre of books) is that, unless you’re with a very large publisher who has the budget, connections, and power to substantially promote your book and get it into retailers, it’s probably more financially viable to do it yourself. Yes, you’re going to have some expenses like cover design and editing, but your royalties will be greater and you can significantly increase this by having your work exclusively with Amazon and therefore available through the lending library. For me personally, I like to be in control and I find it liberating being able to track sales day by day if I want to, change my categories on Amazon, and publish when it suits me rather than to work to a strict schedule that, understandably, the publisher needs to have in place. At the moment, for example, I’m working on a novel that I may release in spring or summer. I don’t need to have a strict deadline, though, which keeps writing enjoyable instead of stressful. Looking back, though, I don’t regret signing a publishing deal. It was a dream come true, it was a great experience, and I learned a lot about the writing journey I want to go on. The big learning I’ve had from going from publisher to indie, though, is the lost momentum. I imagined my books continuing to do as well as they had when they were available first time around. How naïve was I? You see, when your books are first released, there’s an initial flurry of activity when friends, family and devoted readers buy the books. They move up the charts and they get noticed which hopefully generates other sales. The algorithms that Amazon work on kick in and the books get recommended based on purchase history. I certainly wasn’t setting the charts alight with my sales but I was ticking along. Starting afresh with the re-releases meant they dropped like a stone and sales ceased completely. Bit of a shock. Promotion has helped but they’re still not at the consistent level they were before. It’s a volume game, though, and I need something new on the market now. 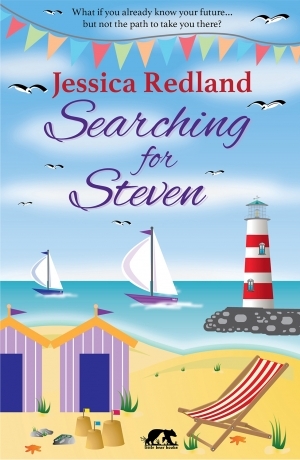 So what now lies ahead for Jessica Redland? I’m currently working on another novel called Bear With Me which is partly set in a teddy bear shop bearing (excuse the pun) that name (hmm, wonder where I got the inspiration for that from?) Like the trilogy, we’re in Whitsborough Bay but there’s a new cast of characters. There are cameos from some of the original cast, though. This is my vision going forwards: that future books will be set in Whitsborough Bay with links to other books although it won’t matter whether or not you’ve read the previous books. For example, Sarah from Searching for Steven has a minor part in Bear With Me. Those who’ve read the trilogy will welcome an old friend but those who haven’t will just think of her as the florist who has a shop over the road from Bear With Me. I’ve part-written a follow-up to my novella, Raving About Rhys, but it has become bigger than the novella I intended it to be so I’ve parked it for the moment while I decide what to do with it. I’ve started writing another novel and a Christmas novella so there’s certainly lots going on; just nothing finished yet! Hopefully Bear With Me will be ready in late spring/early summer. Many thanks, Jessica, for being here today and giving us an insight into your recent experiences. I'm sure everyone reading this will join me in wishing you the very best of luck with your writing. Exciting times ahead! Thank you again. It’s been lovely to be back. Thank you so much, Jan, for your lovely comments about my covers. I'm glad you found it interesting. Good luck with the start of your submission journey. Hope it goes really well. Thanks, Jan. I'm glad you enjoyed the interview. Jessica has certainly seen things from both sides. Good luck with your submissions. Thanks, Jen, for your thoughtful reply. It wasn't part of a master-plan to have Julie and Jessica on the blog in consecutive weeks. It just worked out that way. But I hope that writers who are in the process of making important decisions about their own futures and what is right for them will feel they have more information now, as well as some support. Thanks for commenting. I love your current blog about editing - one of the best blogs, and certainly the most fun blog, I have read. An interesting interview, Jessica. 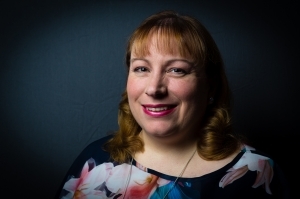 And thank you Susanna for featuring two authors on your blog (Julie last week and now Jessica this week) who have explored traditional and indie publishing options in such thoughtful ways. As you said, Jessica, 'everyone has different writing dreams and writing journeys' and that is such an important point. In sharing your dreams and journey here, you've given all writers much food for thought. Wishing you much success on this next part of your journey. Hi Louise, thanks so much for commenting and for your compliments about the covers and the story. I'm very lucky to have a clever husband. I'd tried to describe what I wanted and he hadn't quite delivered so I attempted to draw my vision. I'm good at copying but rubbish at drawing from my imagination, yet he managed to translate my scribbles into these so very pleased. You're absolutely right that it's so great to have so many options. I have a very good writing friend who takes a hybrid approach. She has a publisher but also publishes her own indie work. I knew deep down that I probably wanted to be indie but I also wanted someone in the know to say they wanted to represent me, giving me that validation. That was more my self-doubt than anything else. Hi, Louise. I'm glad you enjoyed the interview. You're right, there are various parallels between Jessica's experience and Julie's. I agree with you about the new covers of Jessica's books. Jessica's husband has created a distinctive and attractive brand for her - clever chap!